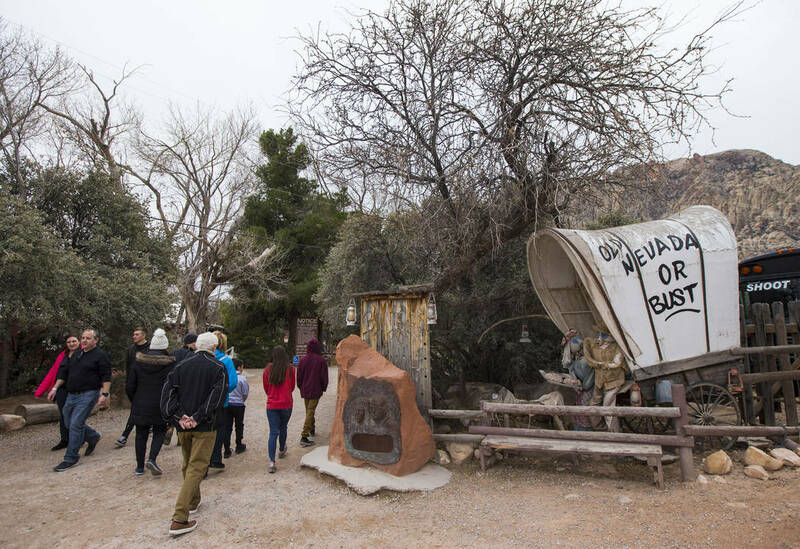 Hundreds of people made the trek to the Old West attraction near Red Rock Canyon on Saturday after learning the ranch is being sold to home developers. 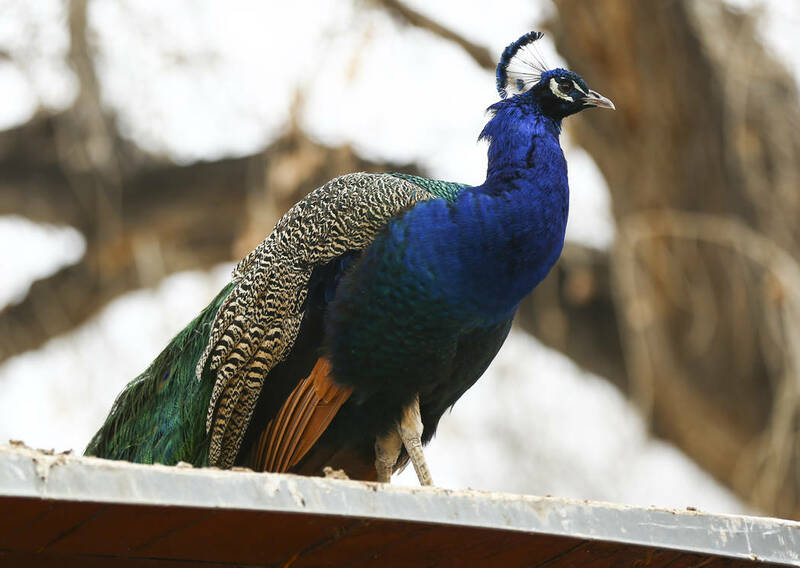 For a married couple from Michigan, Bonnie Springs Ranch isn’t just historically significant. It’s a place with special meaning in their relationship. “We had our first date here,” Elizabeth Baldwin, 65, said, smiling up at her husband. 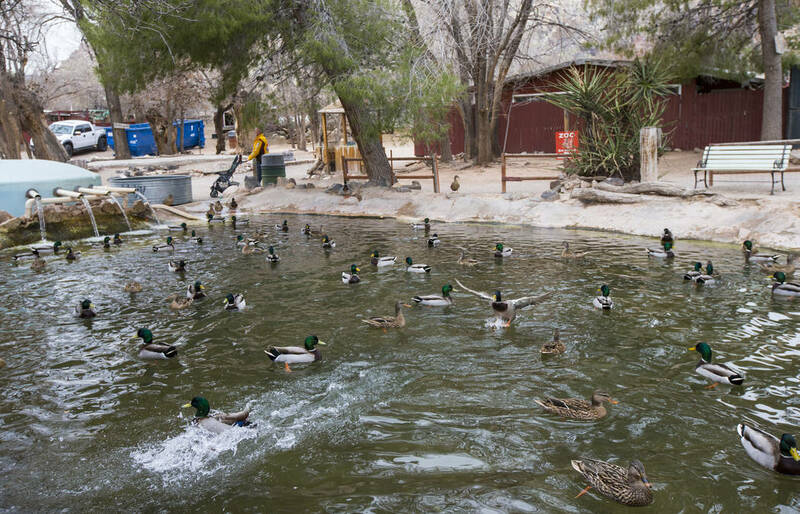 The Baldwins were among hundreds of people who swarmed Bonnie Springs on recent Saturday afternoon. 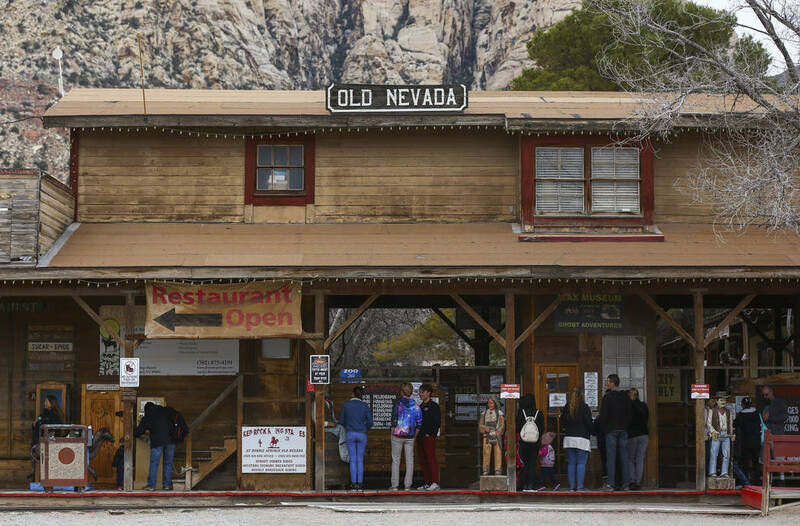 A woman selling tickets at the Old Town entrance said Bonnie Springs was busier than she had seen the ranch in weeks — surpassing even Christmas weekend, normally its busiest time of year. 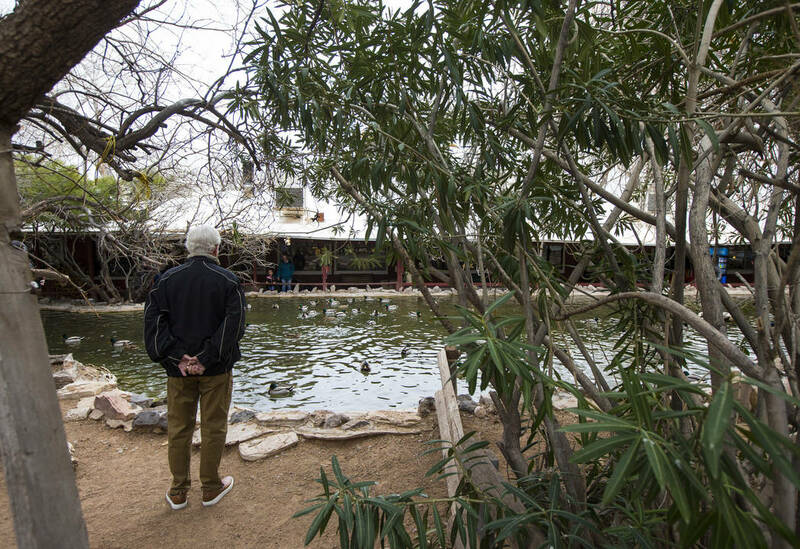 The restaurant was overflowing with people waiting to be seated about noon on that Saturday, Jan. 12, and about 30 people stood in line to buy tickets to get into Old Town and the petting zoo just before 1 p.m.
Elizabeth and Robert Baldwin were in Las Vegas visiting family when they learned that the ranch is being sold to a home developer. 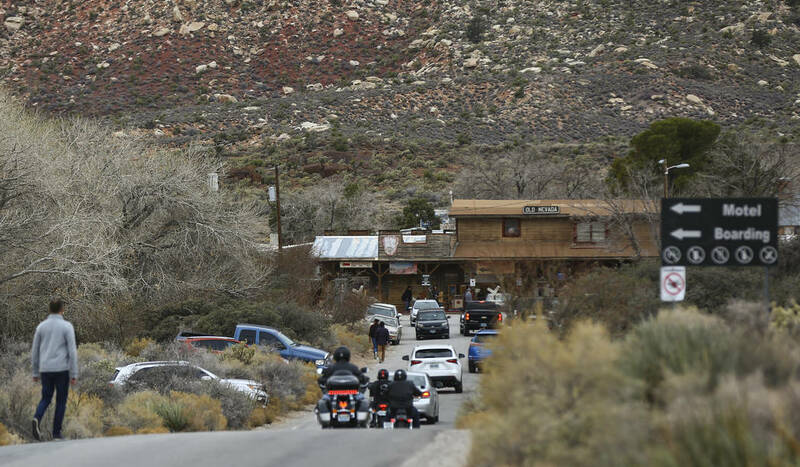 They drove their motorcycle out to the ranch to stroll through the grounds one last time. “Who knows what it’s going to look like when we come back next year,” Elizabeth Baldwin said. Raised in Michigan, Elizabeth Baldwin said she met her husband when she was designing and sewing costumes for shows on the Strip. They had their first date in 2009, married in 2011 and retired to Michigan in 2013. 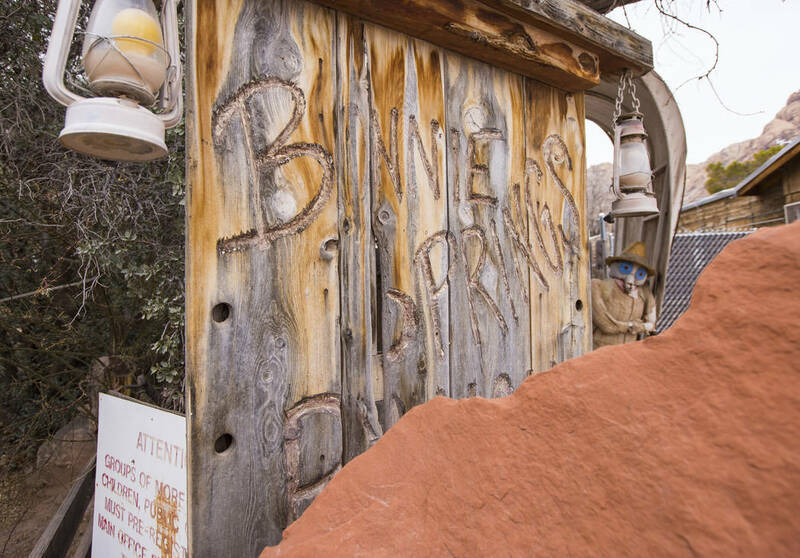 Robert Baldwin, 58, was born and raised in Las Vegas and has visited Bonnie Springs since he was 9. During the 45 years he worked in air conditioning in the city, he would drive his motorcycle to the ranch after work. He said he’s noticed residential development creeping closer to Red Rock. 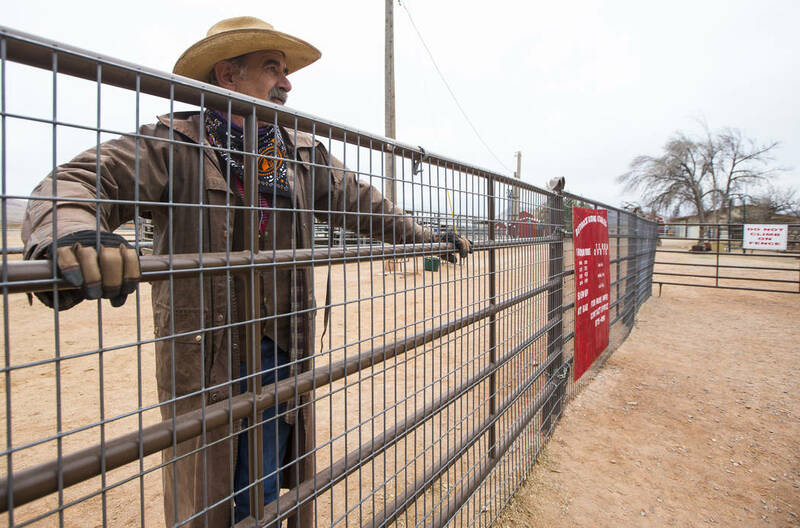 He said the ranch should be placed on the National Register of Historic Places. Although according to executive director of the Nevada Preservation Foundation, Heidi Swank, listing a place on the National Register does not protect the place from destruction or sale – it only promotes the location as one of historic value – Baldwin is not alone in his desire to have the ranch federally recognized. 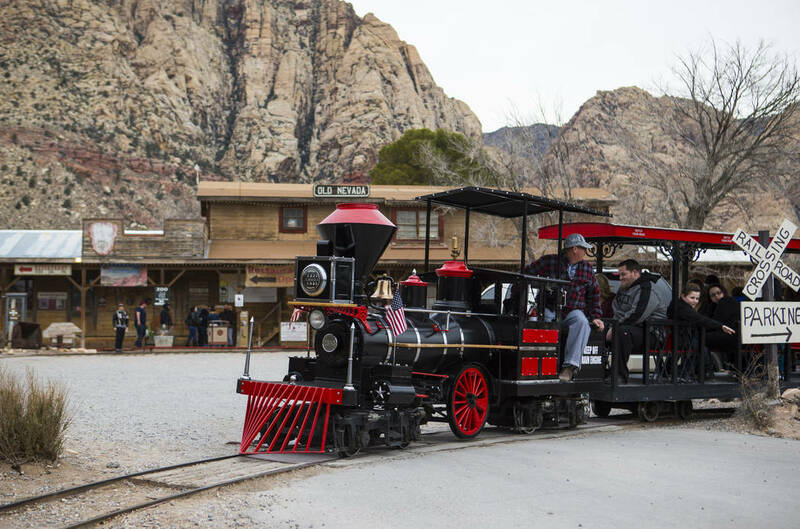 An online petition to turn Bonnie Springs into a historical landmark had been signed by more than 32,000 people as of earlier this month. 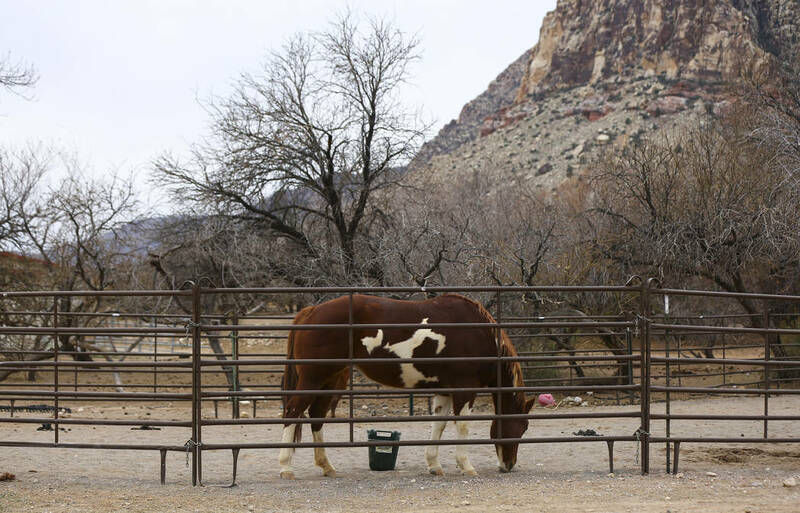 The Bellamys, who have lived in Las Vegas for 15 years, are heartbroken that the ranch is closing, they said. 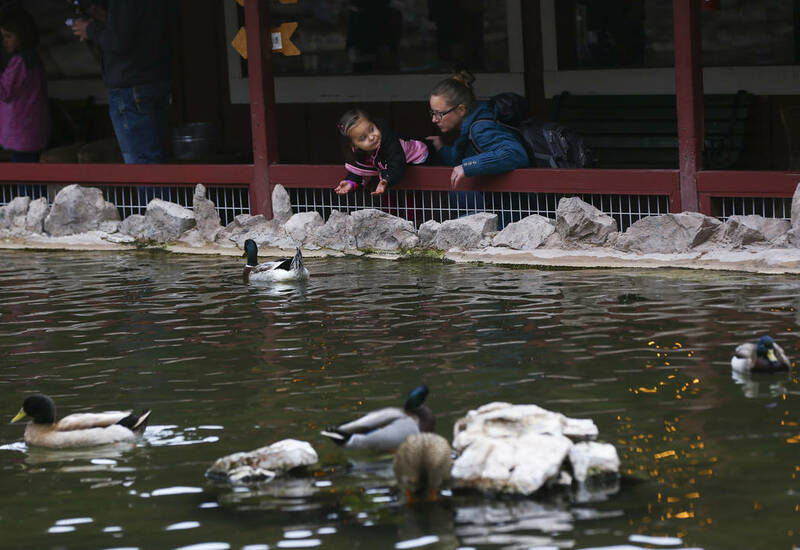 Her kids, Oliver, 3, and Soraya, 4, played with the animatronic figures on the wood-planked platform outside Old Town. Oliver shouted “Snake!” at a fake reptile in a glass case, while Soraya turned the crank on a penny press machine. “Places like this don’t exist anymore,” he said. 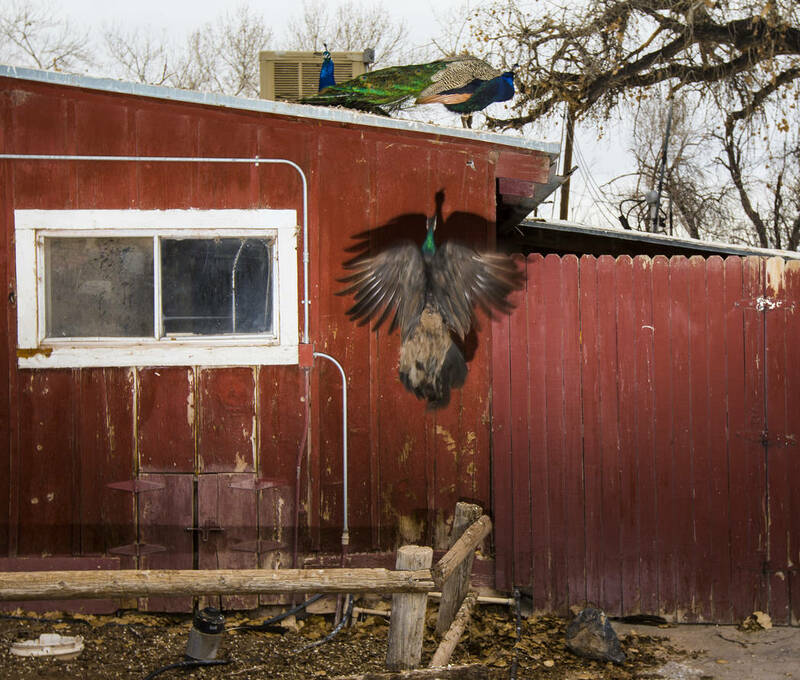 “It feels very Nevada,” Angela Bellamy said. 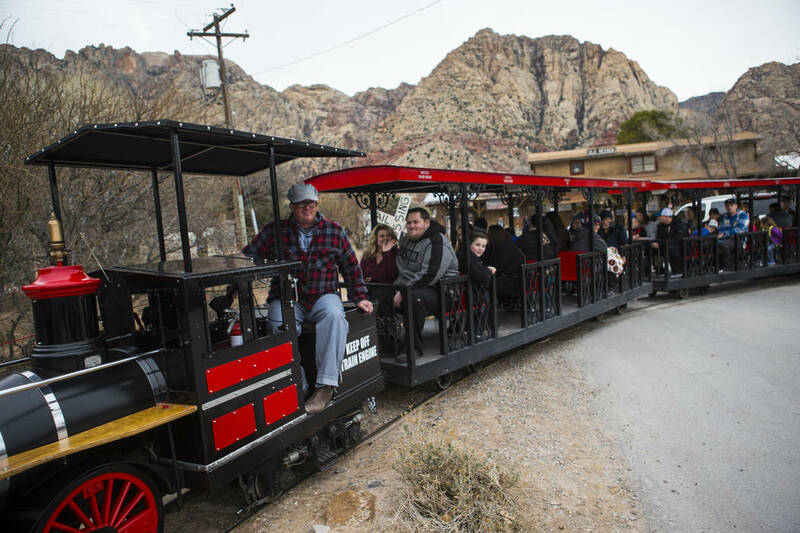 Dawn Bailey, who has lived in Las Vegas for 34 years, used to visit Bonnie Springs with her grandchildren, now ages 18 and 19, nearly every weekend when they were young. Her granddaughter used to come so often that she memorized the names on the fake headstones in the western village replica. 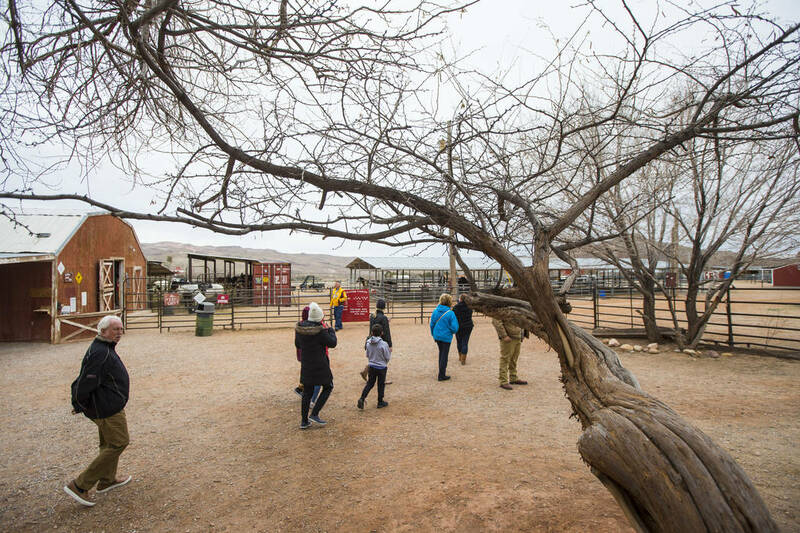 Bailey and her 10-year-old grandson, Cash Landry, visited the ranch recently to revive the forgotten tradition before it closes. Cash and his grandmother sat on hay bales as they watched a western melodrama unfold. 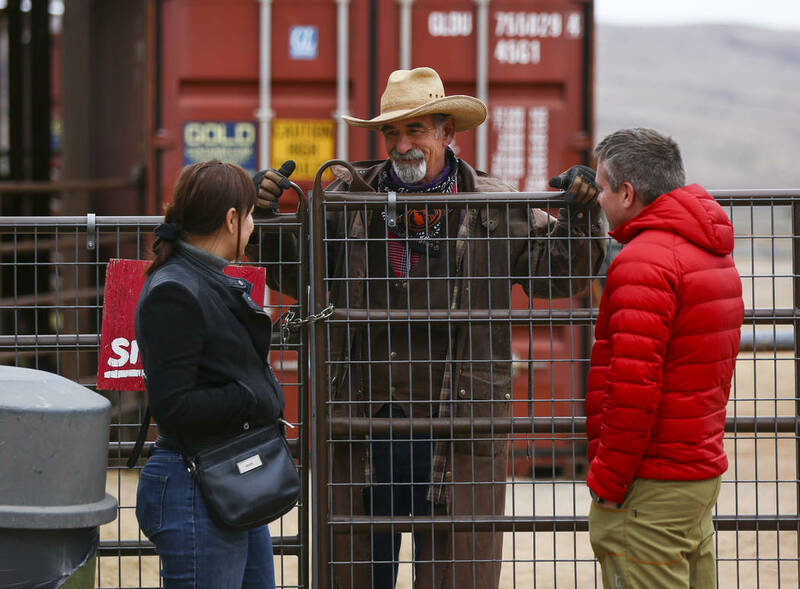 A man pretending to be an old-time miner, wearing red long johns and a battered black cowboy hat, shouted about aluminum in the background. 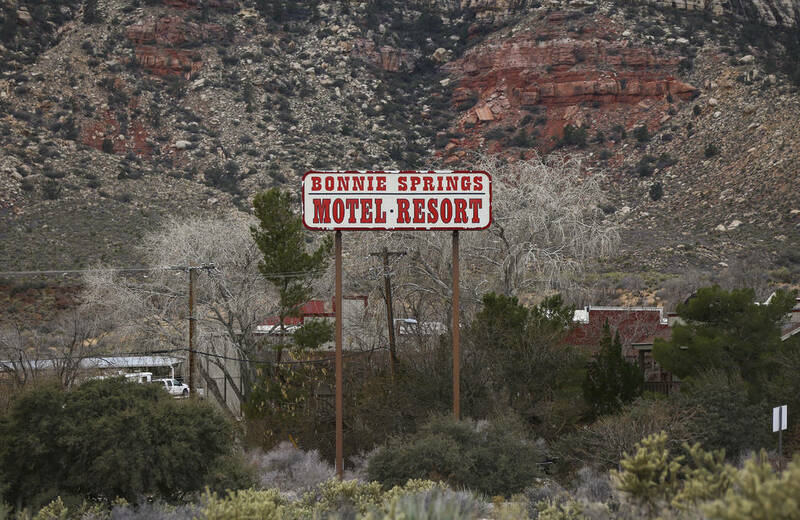 Now that he has experienced it, Cash said he’s sad that Bonnie Springs is closing. His grandmother agreed.